The December 21 judgment of CBI Special Judge, O.P.Saini, has been a pleasant surprise to the accused. However, it has shocked many that the Judge found no one guilty for the so-called multi-crore scam, which led to a political upheaval, a Supreme-court monitored investigation and trial, and was a prominent issue in the 2014 general elections, resulting in the change of Government at the Centre. LiveLaw tries to answer some questions which the judgment may possibly give rise to. Q: In 1553 pages, CBI Special Judge, O.P.Saini, hasn’t found a shred of evidence against the accused in the 2G scam. Is n’t it surprising? What is his conclusion, and how did he reach it? There are six major issues dealt with in the judgment, as indicated above, under separate heads. The charge sheet of the instant case is based mainly on misreading, selective reading, non-reading and out of context reading of the official record, he has said. Further, it is based on some oral statements made by the witnesses during investigation, which the witnesses have not owned up in the witness-box, he further says. Lastly, if statements were made orally by the witnesses, the same were contrary to the official record and thus, not acceptable in law, he adds. The Judge makes a passing comment in paragraph 1818 that many facts recorded in the charge sheet are factually incorrect, like Finance Secretary strongly recommending revision of entry fee, deletion of a clause of draft Letter of Intent (LOI) by the former Minister, A.Raja, recommendation of TRAI for revision of entry fee etc. The end result is that , the Judge has absolutely no hesitation in holding that the prosecution has miserably failed to prove any charge against any of the accused, made in its “well choreographed charge sheet”. Accordingly, he says all accused are entitled to be acquitted, and are acquitted, he says. There were 17 accused, 153 Prosecution Witnesses, and 29 Defence Witnesses. Essentially, the Judge justifies his conclusions on the ground that the CBI did not produce any legally admissible evidence to sustain its allegations, apart from “arguments at the bar”. On certain issues, he relies on the documentary evidence to refute the CBI’s allegations against the accused; on others, he refuses to lift the corporate veil, because it is not required as suggested by the facts, which are clear enough; and on some, he blames the prosecution for not cross-examining the crucial witnesses with the right kind of questions, which could have brought out the truth of the allegations. 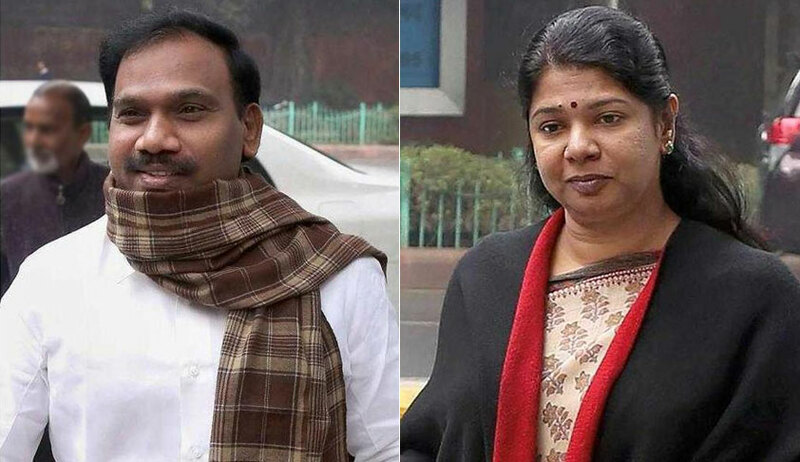 2G SCAM Verdict: Who Said What? Q: So, the CBI failed to put up a solid case, can we say? A: In Paragraph 1812, the Judge says the CBI started with the case with great enthusiasm and ardour. “However, as the case progressed, it became highly cautious and guarded in its attitude making it difficult to find out as to what prosecution wanted to prove. However, by the end, the quality of prosecution totally deteriorated and it became directionless and diffident. Not much is required to be written as the things are apparent from the perusal of the evidence itself”, he observes. Q: How did the Judge indict the prosecution? The Judge was also critical of the SPP for his reluctance to sign the written submissions filed by him. It is only after repeated written orders, that he yielded and signed the written submissions. There was lack of coordination between the office of the SPP and the CBI, which comes out clearly in the judgment. Q: The prosecution alleged that the former Minister Raja misled the then PM, Manmohan Singh. How does the Judge answer this? A: The Judge says that if a Minister writes directly to the Prime Minister, that does not by itself mean that PM would be misled. Raja wrote the letters on his own without getting the same processed in the DoT files. There is no merit in submission of the prosecution that the PM was either misled by Raja or that the facts were misrepresented to him. The arguments have been taken up by the prosecution just to prejudice the mind of the court by invoking the high name and authority of the PM, the judge has said. Q: What does the Judge say about the former Attorney General, the late G.E.Vahanwati? A: He says Vahanwati prevaricated. First he denied discussion about these issues including issue of new licences, but later added that there were no detailed discussion. A discussion is a discussion detailed or otherwise, the judge says in paragraph 845. A triangular meeting took place between the then External Affairs Minister, Raja, and Vahanwati in which some discussion took place relating to DoT issues. Vahanvati submitted note to the then EAM in which he suggested that pending applications would be disposed on first-come-first-served basis. However, he denied the consultation about the issue mentioned in letter dated 26.12.07. Prosecution had alleged that Raja changed the policy of first-come first-served unilaterally through the letter dated 26.12.2007 and there was no discussion at all with the then SG Vahanvati, as claimed in the letter. But the evidence shows that the matter was discussed with the EAM and the SG also, the Judge says, and adds that the PMO had taken no exception to the contents of letter dated December 26, 2007. The Judge found evidence that Pulok Chatterjee had discussed the issues with Secretary (T) on January 6, 2008. There appears to be coordination and synchrony in the working of PMO and DoT, the Judge adds. Q: How does the Judge justify the change in procedure in spectrum allocation during Raja’s tenure as Minister? A: In the earlier procedure, since the number of applications was very small, whether one made the payment in the prescribed time or by the extended time, one would get the spectrum in due course. This was the time when the number of applications was very small and there were either a few applicants or a single applicant at one time. Accordingly, delayed payment of entry fee would not make any difference, as sooner or later one would get the licence because there was no other entity waiting in the queue. This was due to the fact that the seniority would be counted from the date of application. Thus, this procedure was not injurious to any other entity. However, when the number of applications became large, there was a “problem of plenty”. This problem had to be resolved in some logical manner. Early mover advantage was alright when number of applications was very small. However, when the number of applications became large, this advantage would no longer be available, if the payment was not made, as this would be in conflict with the interest of serious players, who were ready with the payment, but moved a little late. People would obtain LOI but would not comply with it. This led to procrastinating pathologies in the system. Thus, a non-serious player, who had no financial resources, would block the way of a serious player by claiming early mover advantage. This was the main disadvantage of determining seniority by date of application, and as such, it was injurious to the interest of serious players, who had the financial resources, to execute the telecom project. “A policy or procedure cannot be set in stone so that it takes no account of current requirements. A policy should not be so inflexible that it cannot be changed when the need arises. Moreover, whenever an officer wanted to delay an application, he would wrap it up in the mantle of first-come first-served, that is, unless earlier application was disposed of, the next will have to wait despite no fault of its own. Thus subsequent applications were kept on hold till the earlier company met the requirement”, the Judge has explained. The note dated January 7, 2008 took this point of view into consideration, and shows due deliberation in the department. Thus, priority from compliance with the LOI was a facilitating innovation. In 2007, the situation was unprecedented as 575 applications were pending disposal. This paragraph fortifies the fact that change in the policy was contemplated by the department itself, which was only conveyed by Raja to the PM. The act of placing of the letter on the record in DoT is not by itself reflective of any conspiracy, as change in policy, that is, priority from date of payment was necessitated by the large number of applications, as the earlier procedure of sequential processing was deemed to be not desirable in a situation where 575 applications were pending and this was a valid reason for change of procedure. Q: Why did the Judge reject the testimony of then SG, late Vahanwati? In Para 909, he says that the SG tried to get out of the questioning by resorting to legal trickery. He made every effort to disown his knowledge of change of priority from date of application to date of payment. “Accordingly, I have no hesitation in rejecting the testimony of G.E.Vahanwati in toto and holding that redefining of priority had his concurrence,” the Judge has held. The case of the prosecution is that the deleted portion in the press release was aimed at ensuring fairness and by deleting it A.Raja diddled DoT officers into believing that the deletion had the concurrence of SG. If it is so, then Siddhartha Behura cannot be a conspirator with A Raja because it was he who drafted the press release, according to the deposition of Srivastava, Joint Secretary in the ministry. Behura, it would appear, was trying to ensure fairness by appropriately drafting the press release. The prosecutor had no answer to this except saying that the accused were attempting to look fair. The judge, therefore, found no merit in the submission of the prosecution that amendment in the press release led to redefining the concept of first-come first-served on the basis of priority from submission of compliance to LOIs against the established practice of priority from the date of receipt of application. The procedure was changed not by the press release but after discussions in the department and as suggested by the officers of the DoT and ultimately conveyed to the PM vide letter dated December 26, 2007. It was rightly conveyed to the PM and the DoT that the policy had the concurrence of SG. Thus, placing of this letter on the record of DoT was an official act, and not conspiratorial one, the Judge says. The judge found no merit in the submission of the prosecution that the criteria was changed surreptitiously and unilaterally by Raja to benefit the accused companies. The criteria was changed with due deliberation in DoT and with concurrence of SG, the Judge adds. Q: What does the Judge say about the quality of witnesses? A: SC judgment in Dudhnath Pandey v State of U.P. (1981) has been cited by him to suggest that defence witnesses are entitled to equal treatment with those of the prosecution. “And courts ought to overcome their traditional, instinctive disbelief in defence witnesses. Quite often they tell lies, but so do the prosecution witnesses”, the Supreme Court had said in that judgment. Similar views have been expressed in the Supreme Court in Munshi Prasad and others v State of Bihar (2001). In Para 960, the Judge says that with prosecution witnesses contradicting themselves on material points and also deposing against official record, which on the face of it appears to be correct and is deemed to be correct, there is no option left except to reject the prosecution version. Relying on the above precedent, the judge rejected the prosecution version that the four counters at the ministry were set up as per the direction of Raja’s private secretary, R.K.Chandolia for distribution of LOIs on January 10, 2008 in order to benefit the accused. It is the case of the prosecution that distribution of LOIs simultaneously through the four counters created a disorderly situation, as representatives of the companies were required to rush to the reception area for compliance of LOIs. On account of this, there was a lot of chaos and this created a situation in which physical fitness of the person collecting the LOIs became the deciding factor for priority in submission of compliance of LOIs. Prosecution alleged that this process made a mockery of first-come first-served policy. Everything happening in the DoT was known to everyone without any formal communication. How could the three companies come to know that in-principle approval for dual technology had been approved to be issued without any formal communication? In such a scenario, where every official communication was being leaked, it cannot be argued that a specific information was conveyed to a specific company by a specific individual, unless there is a definite evidence on this point. It is all in the realm of speculation, the Judge has said. In Paragraph 1009, the Judge says that the officials telecom companies used to visit DoT frequently and also used to meet various officials, creating an atmosphere of laxity and unwarranted openness where nothing was secret. Therefore, the Judge finds that there is no merit in the submission of the prosecution that advance information about the issue of LOIs and change of procedure for allocation of spectrum was conveyed to STPL and Unitech group of companies by the accused public servants. Also, he finds that there is no merit in the submission of prosecution that the first-come first-served policy was manipulated by the accused to the benefit of two accused companies and that Prime Minister was misled on this point. There is also no merit in the submission that the change of policy was manipulated by the accused and the accused beneficiary companies had prior knowledge of it, he adds. Specifically, according to the Judge, the end result is that the evidence of R.J.S.Kushvaha and D.Jha, both Prosecution Witnesses, does not inspire confidence because their deposition lacks assertiveness, cogency and does not find support from the official record. ‘There is no persuasive heft in their evidence. Accordingly, their evidence cannot be relied upon and is liable to be rejected in toto’, he says.